I am often stunned by the amount of people, especially young people, who either don't have a credit card or do so and have an embarrassing amount of credit card debt. Establishing good credit is vital for success later in life. Carrying a balance on a credit card is a sure fire way to get stuck in a vicious cycle of interest and debt. The next thing you know those boots you bought for $150 end up costing $300 with interest. What is most troubling to me is that with a few simple steps and a bit of discipline you can use a credit card for your advantage. I have been using a credit card for the majority of my purchases since early on in college. By following the program I will outline below I save enough money each year to essentially buy all of my christmas presents for 'free'. Establish a budget. Tracking your spending is the best way to avoid frivolous purchases. If you know where every dollar went you are much more likely to be in control of your money. First things first. Write down how much you take in each month. This is your budget, I hate to tell you but if you spend more than you make you will be in debt in no time. Figure out your essentials. Rent, electric, heat, insurance etc. These are the things that you have to pay each month no matter what. This number should be around 25% of your monthly income. Once you calculate this figure you will know how much money you'll need to live if a disaster occurs. Disaster includes loss of employment or other such things. Set your variable spending. This includes the rest of your income for the month. Set a budget for gas, phone, grocery, eating out, gym, fun, and oh yeah SAVINGS. Putting 10% of your income into savings will help you out tenfold when a rainy day comes along. And while you may hate to admit it, rainy days come for everyone. Track your spending. You can create a spreadsheet or ledger on your own or use one of the many online apps that are out there. (I tend to favor mint.com). After each purchase, decline the remaining balance you have left for each particular category. This practice will help you see when it is time to cut out restaurants visits or when you have plenty of money left for fun. Pay right away. At the end of the month you should be under budget, if not repeat steps 1-4. You should have a few dollars left over if so you are not right up against the wall. Log on to your credit cards website and pay off your whole balance, not just the amount due. Don't worry you have enough money, your spending was less than your income. 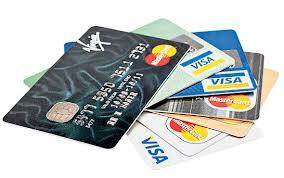 By practicing this method you have essentially used a credit card just like a debit card. You didn't spend money you don't have and you paid off your debt completely at the end of the month. Make the credit card work for you. If you have behaved properly throughout the year your credit card company didn't make a cent from you. There are a ton of cards out there that all offer different reward structures. I recommend cash back because you can do anything with cash. Find a card that offers rewards for the type of purchases you make the most of (I spend the most on gas and grocery). Let the reward balance build up throughout the year and by December 31 you will have a nice cash balance for free!